Home insurance is something many people purchase yet hope they’ll never have to use. Home insurance is incredibly important when your home is experiencing damages that require repair. It’s estimated that half of Floridian homeowners don’t think that they have a home insurance claim, but remaining unaware of your claims can bring further damages. We can help you discover if you have a home insurance claim, no damages are too big or too small! Hurricanes and natural disasters are a common source of damages which may warrant a claim, but home insurance claims in Boca Raton can result from many factors. 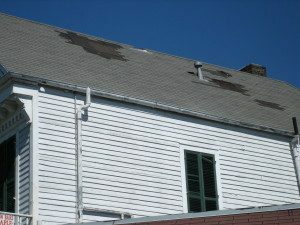 AC leaks, broken pipes, fires and mold are other common factors of home damages. Regardless of the size, if there are damages within your home you may be entitled to insurance settlements through a home insurance claim. Our professional public adjusters can help you discover if you’re able to file a home insurance claim at no upfront cost to you. We can send a public adjuster to your home to evaluate any existing damages, providing an honest analysis of your situation. Any damage is significant, and it’s important to report damages as quickly as possible to ensure maximum coverage is received. At Florida’s Best Public Adjusters, we’re dedicated to helping people receive the home repairs they need. Our adjusters can help with the entire process of your insurance claim, working to get you the payment you need in order to fully repair your damages. We understand the techniques and tricks your insurance company may use in order to pay you as little as possible. We believe that your insurance company should pay you what you’re fully owed, which is why our adjusters can stay by your side throughout the claims process. Our honest service will help you determine the size of your claim, your ability to win the claim and the deductible, all at no upfront cost to you. Damages to your home are pressing matters which must be fixed quickly to preserve the aesthetic integrity of your home and maintain the safety of your building. Many damages can grow into larger problems if ignored, creating bigger issues which are increasingly expensive to remedy. Don’t let this happen to you, your home or your family. If your home has damages from rain, fire, hurricanes, AC leaks, pipe bursts or any other scenario, call us today. Our public adjusters can come to your home and determine the best course of action for your individualized home insurance claims process. Our team can also provide guidance, advice and defense against tricky insurance company tactics. All of our services are available at no upfront cost to you, so there is no reason to keep putting off your home insurance claim.